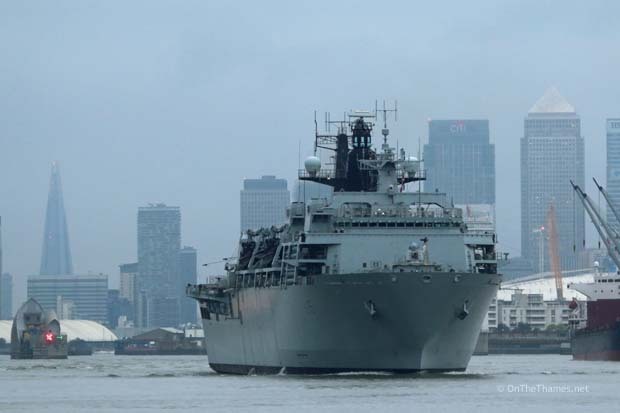 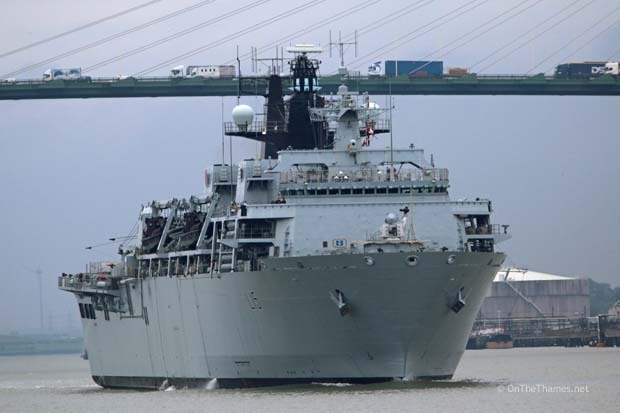 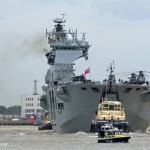 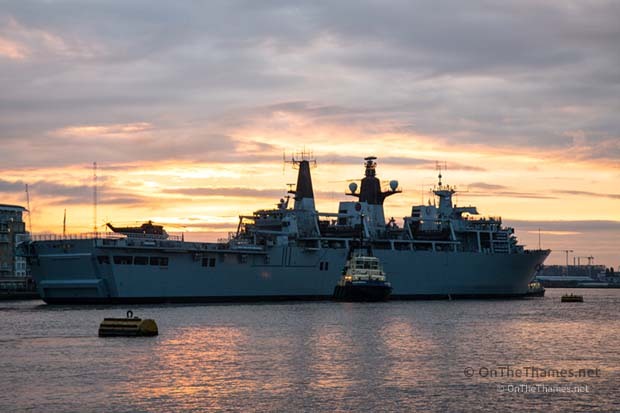 HMS BULWARK departed London as the sun rose over the capital this morning. 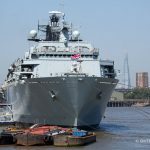 The 170-metre Landing Dock vessel set off from Greenwich under a blaze of orange sunshine, although by the time she'd reached the O2, the sun had disappeared behind a sky of thick cloud. 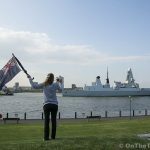 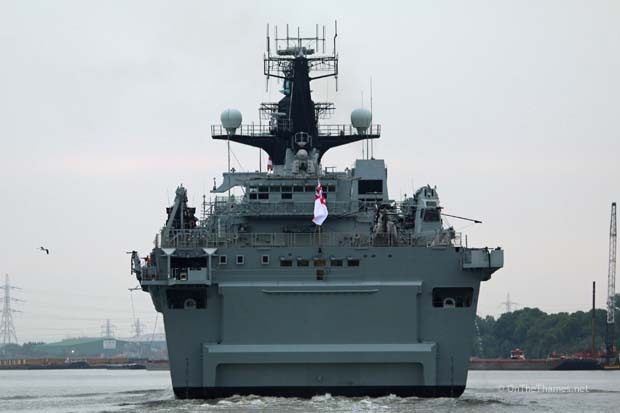 BULWARK, currently the flagship of the Royal Navy, arrived in London last week and has helped to mark the 350th anniversary of the Royal Marines. 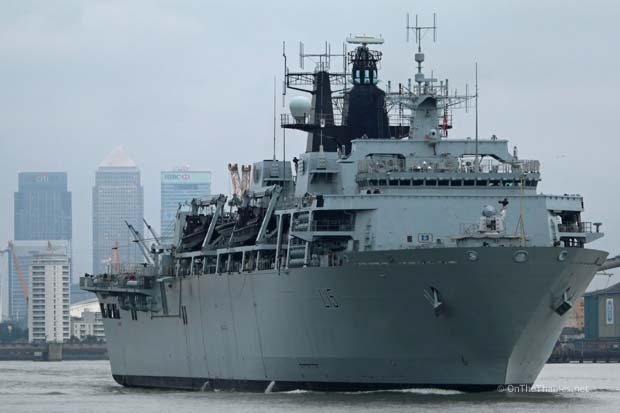 A capability demonstration took place on Thursday and she was open to the public over the weekend with one of her MK10 Landing Craft going on show at St Katherine Docks. 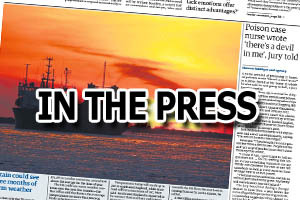 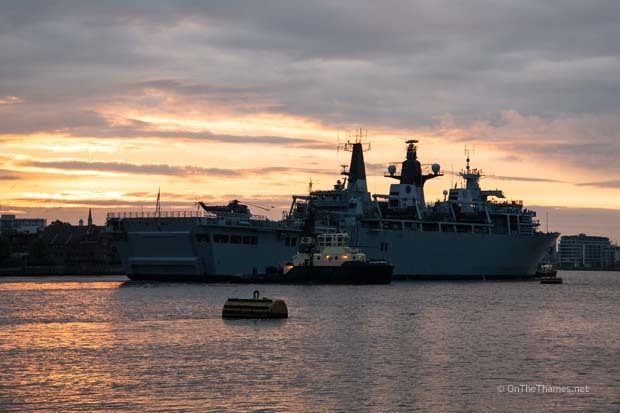 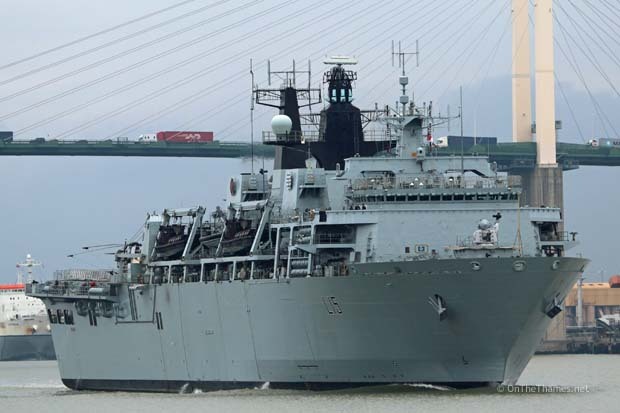 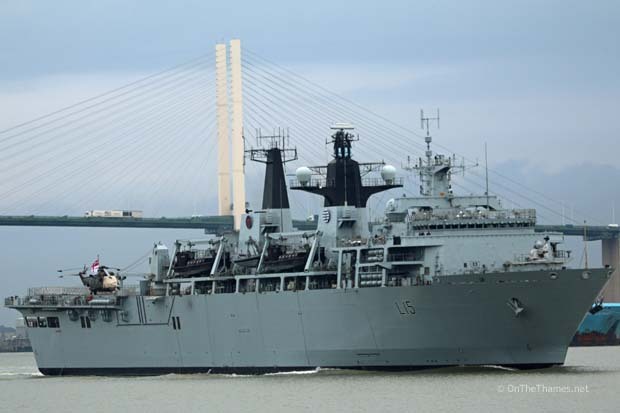 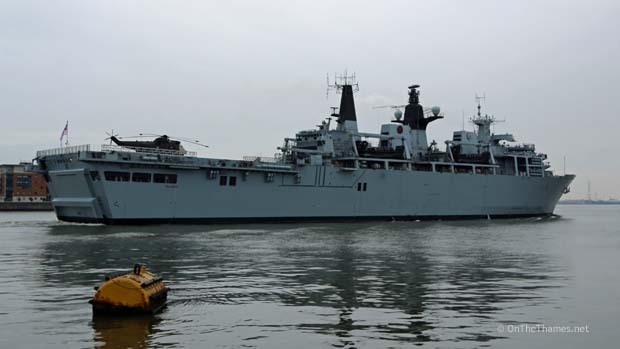 The Albion-class vessel will now head to Southsea for a capability demonstration before sailing to Normandy to take part in D-Day commemorations. 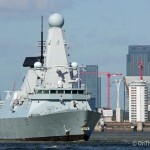 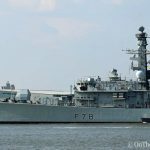 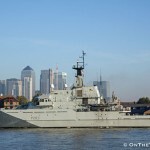 The Type-23 frigate HMS MONTROSE has also been in London over the past five days and is due to leave this afternoon.